The GWB’s heaviest use is weekends, while the East River bridges are busiest weekdays. The GWB sustained 3700 cyclists per day, making it the #3 most-biked-bridge in NYC on a daily basis, ahead of the Queensboro and the Brooklyn. The GWB was the #1 most-biked in October 2014 with 5112 bike trips per day and again in April 2015 with 4283 trips. If that rate of growth sustains through 2024, bike trips across the GWB will exceed 9000 per day, raising it to #2, ahead of the Williamsburg. 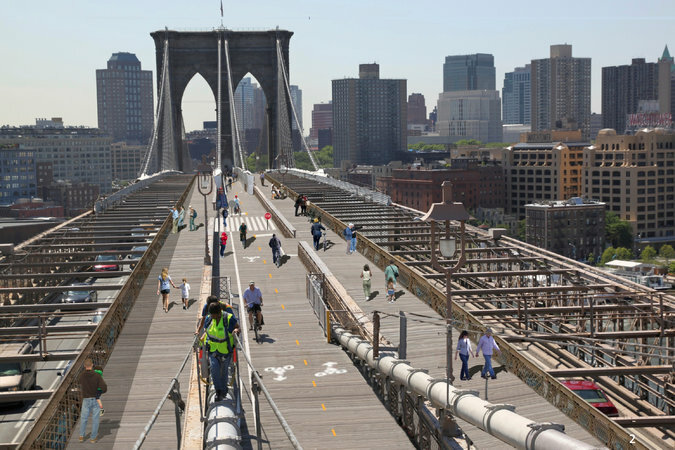 At 7 foot, the GWB will have by far the narrowest path of the five bridges. Data source: NYCDOT, PANYNJ. Widths by Neile Weissman. “Weekend bike volume across the GWB in 2010 was 2252 cyclists per day.” (Months not specified.) 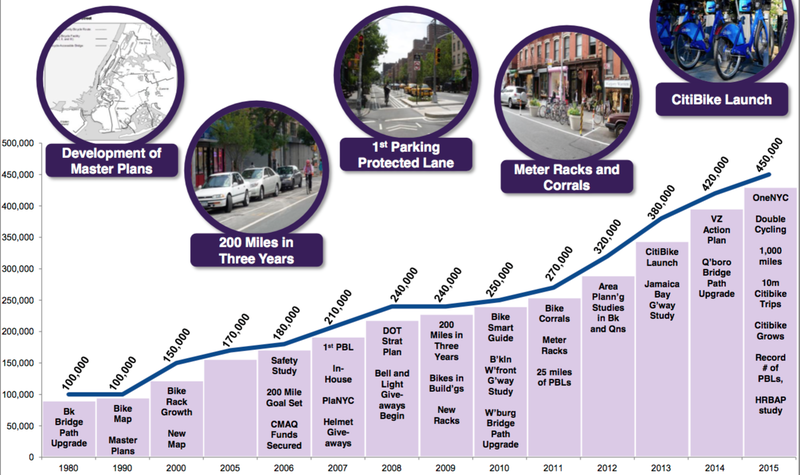 – Port Authority Bicycle Master Plan. p. 7, http://tinyurl.com/zrm26lb.